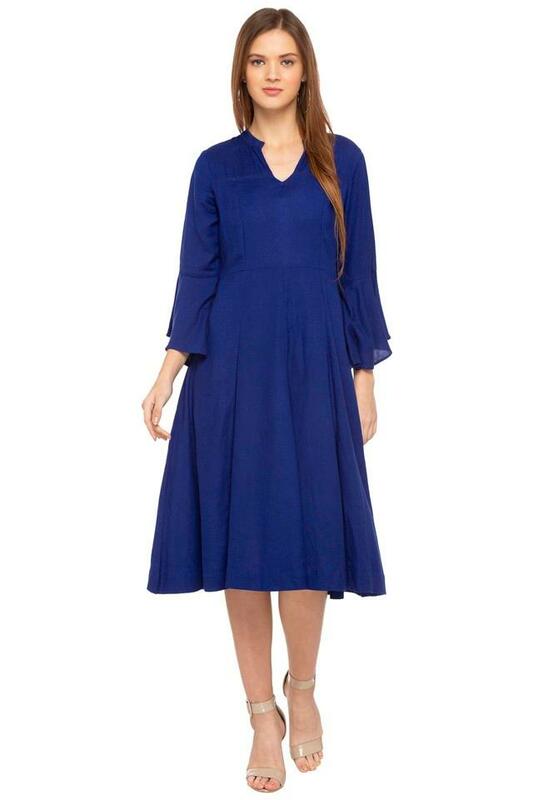 Channel smart looks in your casual wardrobe with this flared dress from AND. This dress is extremely comfortable to wear, courtesy its good quality fabric. Featuring a solid pattern and mandarin collar, this dress possesses a stunning panache. Besides, the bell sleeves also accentuates its design. 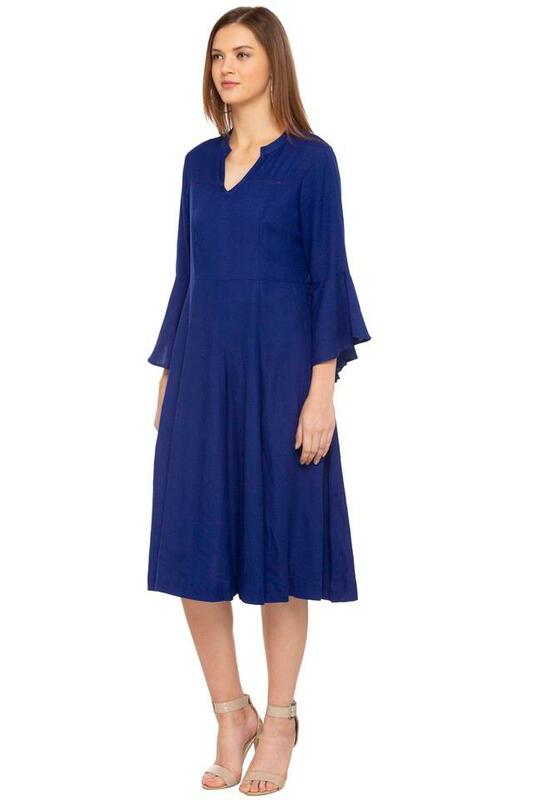 Embrace your inner rebel chic as you step out in style, wearing this flared dress. 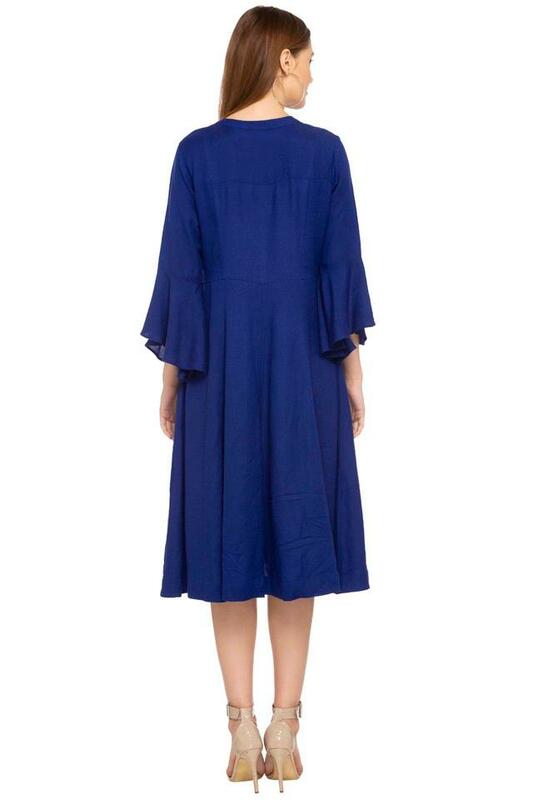 Team this dress with a pair of sandals to look effortlessly stylish.